Saint Cloud State University appears in our ranking of the 10 Best ABA Master’s Degree Programs in the West. Applied Behavior Analysis (ABA) is a field of study related to both sociology and psychology. It focuses on how professionals can treat and work with those with certain disorders and conditions. Though most know that this form of therapy works well with those who have autism, it can also help those with attachment disorders and other emotional issues. Saint Cloud State University offers a Master of Science in Applied Behavior Analysis that meets all the guidelines and requirements for students seeking professional licensure. Students can enroll in a thesis version of the ABA program, which asks them to take 45 credits of classes and do a thesis. They can also enroll in the ABA non-thesis track and take 46 credits of classes instead. Those in this second program will also take a comprehensive exam that tests them on skills, techniques, theories and other information presented to them in their classes. If the student does not pass this exam, he or she will need to take it again before graduating. The ABA courses that they take include Experimental Analysis of Behavior, Behavioral Applications I and II, Social Bases of Behavior and Behavioral Assessment. Thesis students will take a course on research methods, while non-thesis students will take a class that goes over the exam and prepares them to take it. Students must also do three internships in the fall, spring or summer semesters, which awards them nine credits toward their degrees. Saint Cloud State University offers programs for grad students who want to earn certificates in addictions counseling or marriage and family therapy too. Saint Cloud State University is one of several colleges serving the needs of Minnesota residents as part of the state’s college and university system. Established in 1869, it opened as the Third State Normal School because it was the third such school founded in the state. The state bought a former hotel and renovated it for incoming students. Students took classes on the bottom floor, could work with real kids on the second floor and sleep and live on the third. The school only allowed women to live in the building at that time. Junior college courses added to its curriculum near the turn of the century helped the school’s enrollment grow. This small school would eventually become the St. Cloud Normal School, St. Cloud State Teachers College, St. Cloud College and then Saint Cloud State University. SCSU is now home to six colleges and even more departments that offer more than 200 majors for students that culminate in degrees and certificates. Forbes ranked it as the 556th best American college, while U.S. News and World Report ranked it as the 118th best school in the Midwestern United States. Though Washington Monthly did not rank the university on its list of best undergrad schools, it did call it the 180th best college for graduate students in the nation. 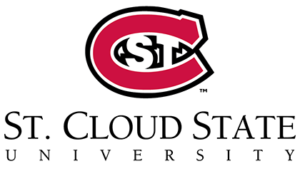 With an enrollment of more than 1,800 graduate students, SCSU is now one of the largest public graduate schools in Minnesota. The North Central Association of Colleges and Schools (NCACS) has a strict series of guidelines that it uses when determining which schools should earn accreditation. A school must maintain these standards to renew its accreditation too. SCSU earned its accreditation the first time it sought it and had no issues with renewing its accreditation since then. This gives students the chance to take courses on another campus without worrying about whether those credits will transfer. They can also apply for financial aid and get packages designed just for them. SCSU recommends that ABA students apply to the program as soon as possible. It usually makes its first round of decisions in the late winter or early spring and will move some students onto a waitlist. The university will let those students know by May 15 if they earned a spot or if they should apply again the following year. Its online application will show the current semester that students can apply for and the deadline for application materials. If the university does not receive all these materials by that deadline, it will automatically deny the applicant. When applying to an SCSU program, students can submit most materials online with their applications. They have the chance to upload their unofficial transcripts, which they can get from their schools, and a statement of intent that outlines all their reasons for choosing this university and program. The application also has spots where students can submit their resumes and writing samples. Most students will use a paper they wrote in a psychology or sociology course. Graduate students pay a $40 application fee too. Once the university accepts a new student, that student has until the start of his or her first semester to submit an official transcript. SCSU gives priority to those with professional ABA experience and those who attend workshops or other professional ABA events. This Minnesota university offers a tuition rate of $4,110 per semester for in-state students. It has a reciprocity arrangement with other states that allow students in neighboring states to qualify for this same rate. They can contact the university to learn if their states are part of this arrangement. All other nonresidents pay $5,974 per semester. Students usually spend between $500 and $600 each semester on their books and another $4,500 a semester on their living expenses. Part-time graduate students pay at least $399 per credit hour. Those in the ABA program pay a flat $590 per credit hour when enrolled part-time. SCSU offers assistantships for graduate students who took any prerequisite courses and enroll in a full degree program. They must maintain high grades and make satisfactory progress towards finishing their degrees to keep their positions between semesters and years. Its School of Graduate Studies has an online application available for these positions. Students can also work with the university to find a paid internship for the semester. Other financial aid options include loans and grants from both the government and private sources. Saint Cloud State University will provide any student who completes the FAFSA with a financial aid package after they receive acceptance to its applied behavior analysis program.